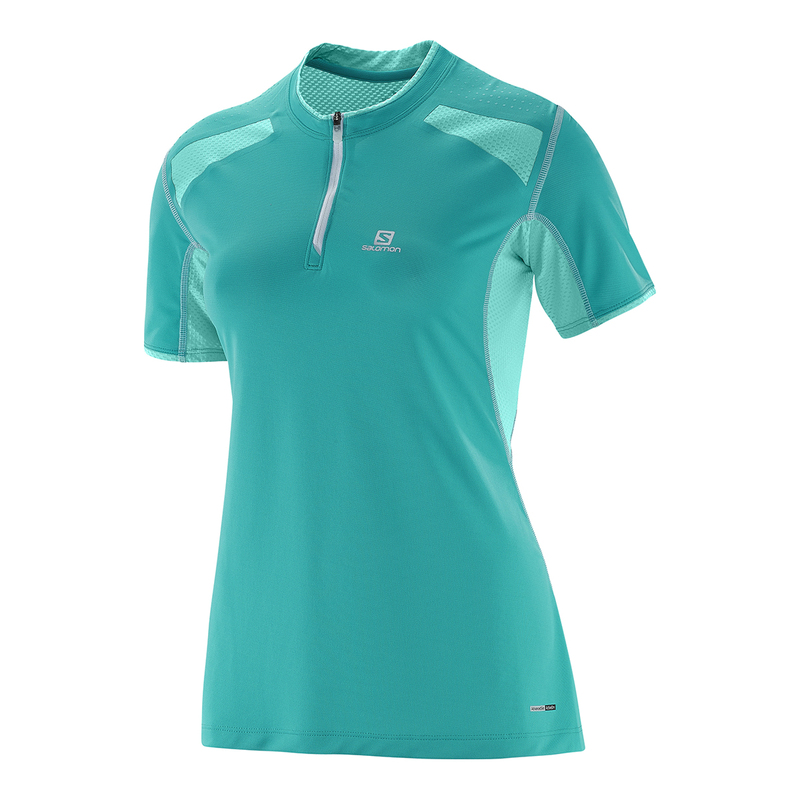 Salomon designed the Women’s Fast Wing HZ SS running t-shirt with a whole host of body mapped goodness to minimise chafing, maximise breathability and enhance practicality. Made using a combination of Salomon’s Advancedskin Active Dry fabrics, the Women’s Fast Wing HZ SS Tee has mechanical mesh panels in the back, underarms and shoulders to provide extra breathability where you need it the most, while the rest of the shirt is made from breathable and fast drying polyester with four-way stretch for added mobility. A front zip provides a little extra ventilation, while flatlock seams reduce chafing and reflective detailing makes you more visible in the dark. 100% polyester.